What do I mean by unconventional? I mean anything other than textbooks. Most of us were brought up to believe that the only way to teach is with a textbook that you assign to the student, they study it and then they take a test to see how much they’ve learned. But is this the way we learn as adults? Not me. When I’m interested in learning about a new topic the first thing I do is go to the library and find out what books they have on the subject. Now I know, some of you are already thinking that I’m behind the times. Many of you would be quick to point out that the Internet is a far better resource than the public library. Call me old-fashioned, I am a reader and would rather have a book in my hands than stare at a screen. But since you brought up the Internet, there are lots of ways to gain information there too! 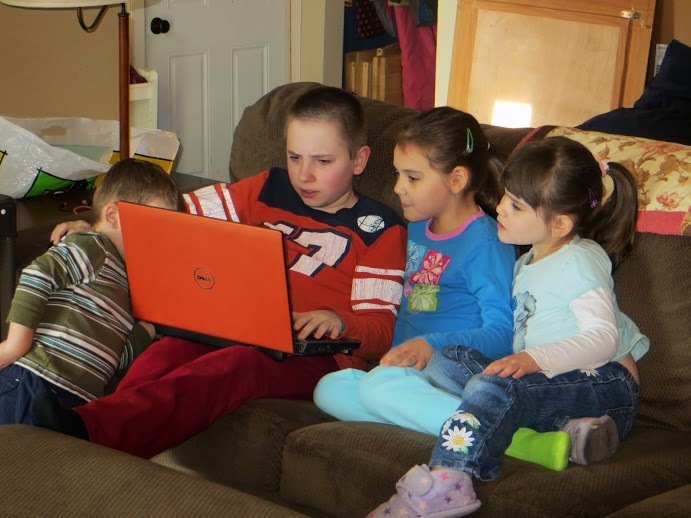 Some homeschoolers are uneasy with a truly unschooling method. This is where you allow the student to completely control their learning environment and the topics they choose to explore. I am not necessarily saying that to go unconventional, you have to go completely unschooled. There are many degrees of learning between conventional schooling and unschooling. I’ve collected a selection of resources that might help you feel more comfortable with a less structured learning model. Carschooling – when you have to spend a lot of time in your vehicle and can’t seem to get any schoolwork done, here are some ideas to make the time profitable. Project Based Learning – Choosing projects that help your child explore their interests in depth. The possibilities are endless. What is your child interested in? Notebooking – Creating notebooks to collect information as the student learns about a topic. There is also a website called, “Lifestyle of Learning Association of Christian Home Educators” (LOLACHE). The founder is Marilyn Howshall. I read several of her books on homeschooling about 20 years ago. If you can find them, they are very helpful for a more relaxed homeschool experience. They are out of print but if you go to Marilyn Howshall on Amazon you can see what is available used. I bought the 4 book set. Delight Directed Homeschooling – a method of learning that follows the child’s interests but is more structured than unschooling. There are also many classes that you can sign up for at your local library or community center. Check for co-ops in your area for group experiences for your students too. I’m not sure I actually remember our first day of homeschooling. I guess I can ask for a little grace in that department. After all, it was 1991 and we’ve had quite a few first days since then. Twenty-six to be exact. But this year is different. As I saw many friends posting pictures of their cute little scholars getting ready for school I got a little sentimental. It’s the first year I have no student starting a new season of learning. They are all finished. All 7 have gone on to other things. Hopefully, I succeeded in instilling a love for learning in each of them and that will never end. But the days of working at the table with a little boy whose eyes lit up when he completed his math assignment with no mistakes are long gone. Actually, I haven’t had any of those moments for a long time. High schoolers don’t normally get too excited about assignments! Sometimes I wish I knew at the beginning what I know now. If I had it to do over again, I would be less concerned about performance and focus much more on character building. I think we got better at that towards the end but even so, I still felt pressure to aim for some man-made standard. I have realized how much time and energy we put into competing with others to see how we measure up and it’s just not worth it. In the end, you just do your best and keep moving. The things I remember worrying about with my boys, the areas of learning where they seemed to be struggling, caused so much stress at the time. And now, looking back, I can say that all those times of striving for something more have had no visible impact on my boys’ success in life. They are all doing just fine. How do you measure success anyway? Isn’t it simply about setting goals for yourself and working toward meeting them? At this point, none of my boys have bachelor’s degrees. None have letters after their names. So what? They each have found their sweet spot. They are pursuing what interests them and doing it well. And…most of them have no school debt! I couldn’t be happier for them. And for me? How do I embrace this next season? Right now I am looking for ways to share what I’ve learned. First is this blog. Hopefully, I will continue to share insight that will help other homeschoolers. Also, I have taken on some students to tutor. I am looking at ways to tutor online as well. I see myself as a homeschool coach that can offer strength and encouragement to other moms who may be at the beginning of their homeschool journey. But it’s also a season to dust off the things I’ve wanted to do for a long time. Quilting, genealogy, reading the zillions of books I’ve been wanting to read, and writing. And I get to spend time with my grandchildren which gives me great joy. If you are in need of someone to come alongside you as you travel this homeschooling path, contact me and we can discuss how I can help you. I know it was a great help to me when I was just starting out to spend time with veteran homeschoolers. It made the journey less daunting to see those who had survived!